HACKINTOSH.ORG | Macintosh discussion forums > iPhone/iPod/iPad Discussions > General > What are the differences between the original iPhone and the iPhone 3G? The differences between the original iPhone and the iPhone 3G are fairly modest. From a quick look at the front of both models side-by-side it would be unlikely that the casual observer would notice a difference -- each have an identical 3.5" display with 320x480 resolution at 163 ppi -- although the 3G model does have a slightly wider black frame around the screen. Flip the devices around, and one would immediately notice that the original iPhone and iPhone 3G are quite different, as the original model uses aluminum and the 3G model is offered in either black or white plastic. Both the original and 3G models have a 2.0 megapixel digital camera. The dimensions are similar, but not quite identical, as the 3G models are slightly thinner at the tapered edges and slightly thicker in the middle (0.48 inches compared to 0.46 inches for the original). 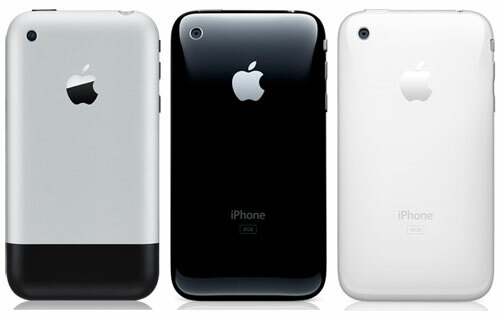 The 3G models weigh slightly less as well (4.7 ounces compared to 4.8 ounces for the original). 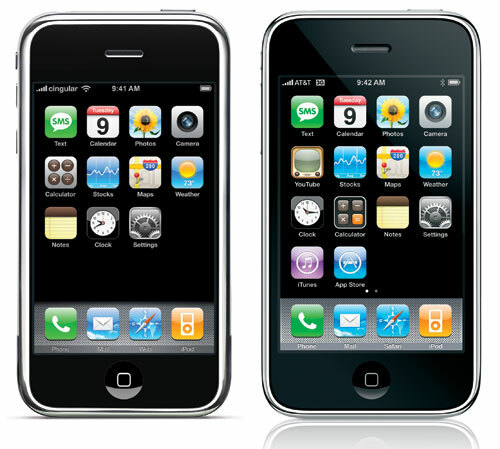 Re: What are the differences between the original iPhone and the iPhone 3G? the 3g has newer hardware, and overall better everything. It's now iPhone 5. And the comparation should be between iPhone 4 and iPhone 3GS! Read this "The differences between iPhone 4 and iPhone 3GS"
There is not much difference but still new customer will always buy 3g phone.